This is Part 3 in a series of articles on energy use in the Philippines, what we can all do to lessen energy use in our homes, and El Nido Resorts as a case study for how small changes mean big savings. Part 1 in our series of articles detailed where the Philippines gets its energy, where it goes, and why we need to get off the fossil fuel wagon and fast. For Part 2, we shared handy dandy tips on what we can do to lessen energy use in our homes. For the grand finale, Part 3 is an introduction to how El Nido Resorts applies energy conservation and efficiency methods to go green, save gold, and do good. *Average price of regular gasoline in 2008. Since we consumed Php 2,203.50 worth of gasoline per day in 2008, the calculated return of investment (ROI) for the solar panels is only 635 days, or 1.74 years! The actual ROI decreases as the price of gasoline increases. Not bad for a system that also prevents the release of 47,997.5 kg carbon dioxide per year. Since we installed them in 2008, the solar panels have already paid for themselves in fuel savings. The solar panels in Entalula will be replaced this year with larger ones to increase the electricity generated. 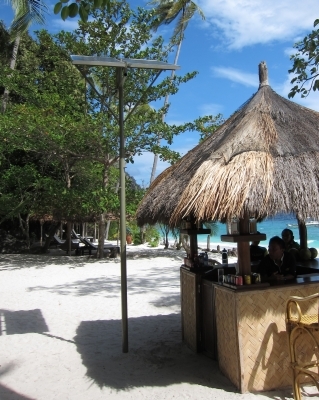 Lagen Island Resort needs approximately 1,370 bulbs around the property – 500 in the common areas and perimeter, 750 in the guest rooms, and 120 in the staff house, powerhouse, and offices. 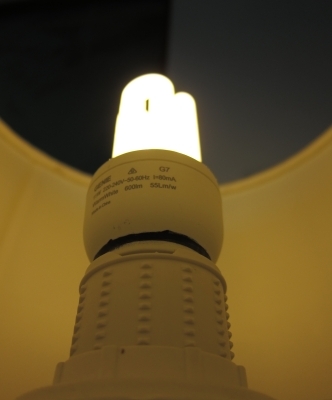 The average use for one bulb is 12 hours per day. If we still used incandescent bulbs and assumed 70% occupancy, it would cost Php 8,352 per day to light up Lagen. If we still used incandescent bulbs and decided to replace them all with CFLs today, it would cost Php 150,700 (Php 110 per CFL) but with savings of Php 6,681.60 per day, the ROI will only be 22.55 days! Our energy conservation and efficiency efforts don’t end here. Aside from the beach clubs, the Deluxe Seaview Rooms in Miniloc also have solar panels that supply electricity to the rooms. We’re constantly looking for more energy efficient technologies that we can use. Starting with Lagen, we are slowly phasing out our regular fixed speed air conditioning units and replacing them with more efficient inverter-type units. There are also plans for a homemade solar water heater that will supply hot water to the kitchen dishwasher. There are many ways to decrease energy use in our homes and workplaces and it’s so satisfying to find them all! Previous What does it take to be an Environmental Officer?